We were very excited to have received our first shipment of pens and inks from Pilot a few days ago. Along with two styles of higher-end capless (vanishing point) pens, we received a small selection of Iroshizuku inks and Prera fountain pens. The Prera comes in different colours and also in transparent acrylic with colour accents. It's simple: I love this pen! Let me explain! What appeared at first to be a plastic barrelled pen of little significance quickly turned into an amazing writing experience of exquisite Japanese engineering. During talks with our distributor, I asked repeatedly about cartridges for their fountain pens, because I thought that's what most of our customers would want. After all, most models of pen at the Prera price point don't come with converters, and cartridges are popular. I wasn't sure things were looking quite so rosy after committing to a purchase because I found that getting these Pilot cartridges to Canada would be seemingly impossible. As I opened up the Prera I noticed that it came loaded with a converter! Thank you Pilot! The demonstrators are fully kitted with piston converters and the solid coloured Preras came with bladder converters. Both are well engineered. The transparent Prera with red accents was my sample of choice for review. How nice it is to see ink swishing about through the transparent barrel. Transparent pen? Piston converter? I hear red ink! And so I loaded with Diamine Red Dragon. I'm a medium nib kind of guy and the quality of this one was top notch. 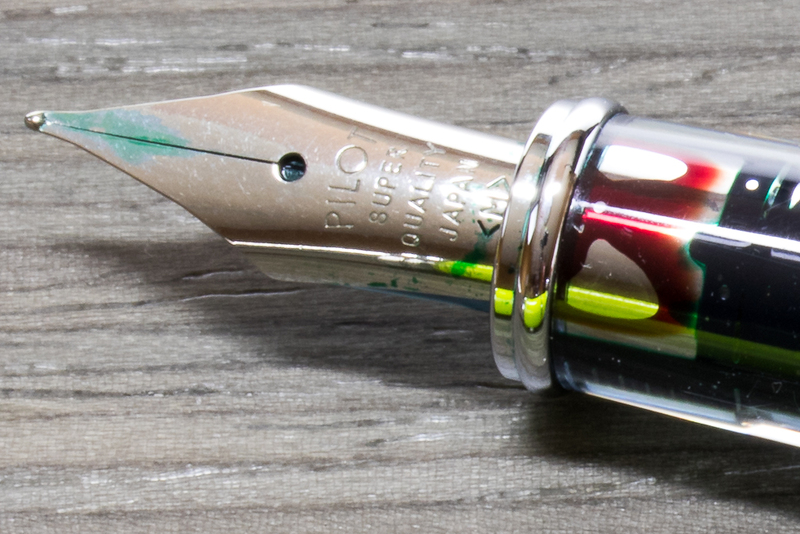 A medium nib is a little too fat for many pen owners, but remember this is a Japanese-made pen! This means exactness of engineering and surgical manufacture. It means a nib that will deliver a line finer than a European fine nib. I visually compared the line produced with a Kaweco fine nib and my memory seems to have served me well. The writing experience of Japanese pens is always top quality and the Prera is no exception. Even on the worst possible paper the pen performs very well. No skipping and all smooth writing. My initial impression that the Prera was a little cheap looking was swiftly replaced by an addiction to its quality. No leaks, no mess, no trouble. 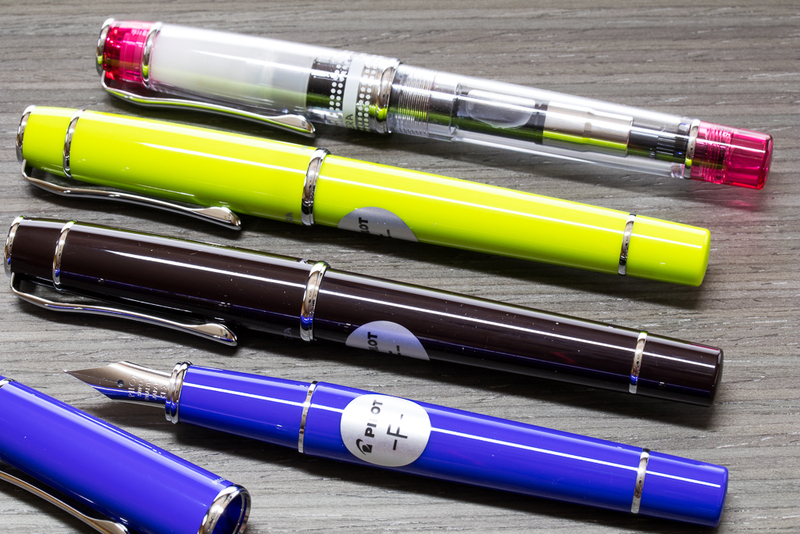 Pilot pens are sure to make a big impression to our store. 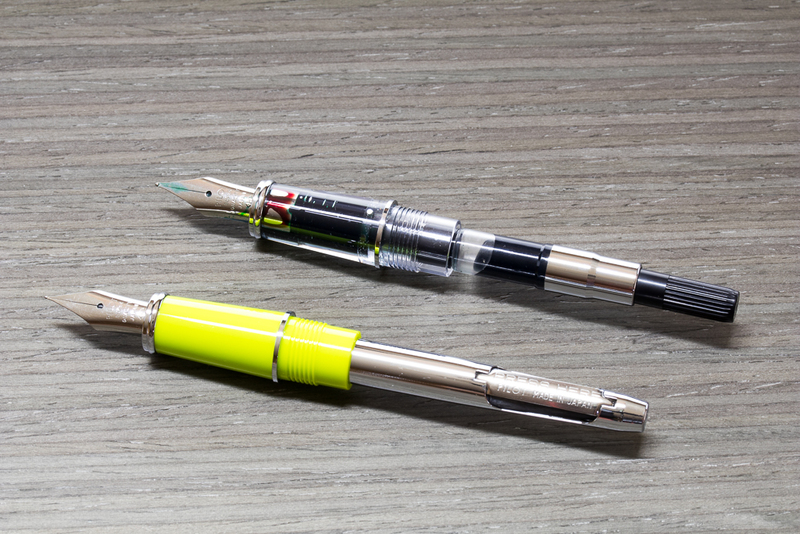 The Prera is quite a short pen and the transparent version is attractive with its two-toned colours. With my large manly hands I found I preferred to write with the cap posted. This didn't bother me at all even though I wouldn't normally write this way. For smaller hands, you'll find the pen works whichever way you like. The Prera is a medium size pen that fits conveniently in a pocket. Given how well the Prera writes, I thought I would give it a variety of tests on good to bad paper. I tried the back of an envelope test and the terrible-student-notebook test and it performed well each time. On Rhodia and Leuchtturm1917 it's sublime. You can find Pilot pens at Knight's Writing Company Store.